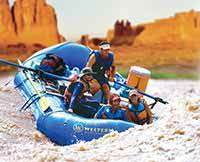 This is a Fabulous Rafting Trip! Our family has been on rafting day trips before, but never an overnight camping trip. 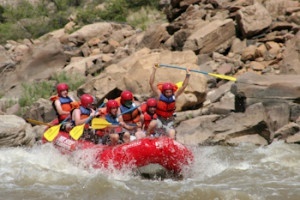 This rafting trip was great. Your staff, Ben, Jon, Alex, Aaron and Steve are marvelous. 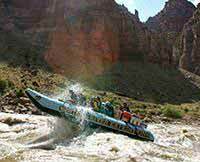 They guided us on the Colorado River and provided knowledge about the river and canyons that was very interesting. The guides prepared the food for every meal and did a great job. The food was delicious, chicken, salmon and steak! They even played games with the kids. I can't say enough about the Western River staff. We would have loved the trip because of the beauty of the landscape, but your staff made it so much more! Everything about the trip was fabulous and I would highly recommend for anyone wanting to have some great adventures whitewater rafting in Utah.